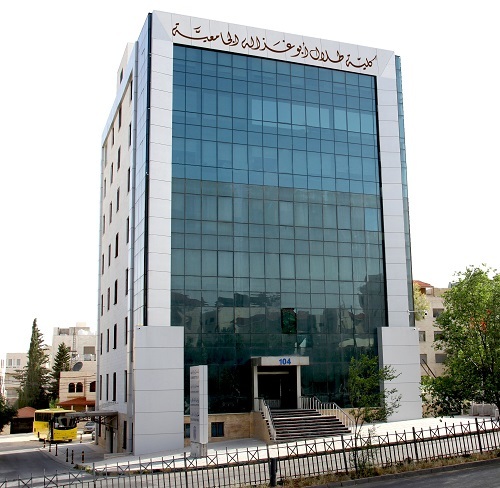 AMMAN – The Higher Education Council approved the formation of the Board of Trustees of Talal Abu-Ghazaleh University College for Innovation (TAGUCI). Members of the Board, chaired by HE Dr. Yousef Mansour, include HE Mr. Luay Abu-Ghazaleh, Dr. Muntaha Bani Hani (Dean of TAGUCI), Dr. Adli Kandah, Dr. Salem Al-Aqtash, Mr. Ramez Quneibi, Mr. Reyad Noubeh, Dr. Suleiman Al-Khattab and Dr. Abeer Al-Ghananeem. Talal Abu-Ghazaleh University College of Innovation is a university college specialized in business and information technology. It aims at providing students the appropriate environment for creativity and innovation through modern learning methods while granting them the potentials to transform their ideas and inventions into marketable products. TAGUCI to offer a bachelor's degree in Innovative Computer Science in three tracks: Artificial Intelligence, Data Science and Cybersecurity, and a Bachelor’s Degree in Innovative Business and its tracks include Digital Marketing as well as Accounting and Auditing. It’s worth mentioning that TAGUCI opened registration for admission last June for the first academic semester 2018/2019 which will start next October.